Quinoa. We dated a few years ago. I couldn’t commit. We parted ways. Then I was introduced to the quinoa salad at Zoe’s Kitchen (ahh mazing! ), and I realized that perhaps I shouldn’t ditch this little grain just yet. Perhaps I just needed to find some better recipes. Perhaps quinoa is really a keeper. Perhaps. So I found this recipe scouring the depths of Pinterest. The sauce was reminiscent of one of my fav dishes (Simple Asian Peanut Noodles), and so I felt like it had some real potential. Y’all – this stuff is good. As Blake described it to Brogan last night when he asked what was for dinner: “Pure deliciousness.” And it is. I hope you enjoy! 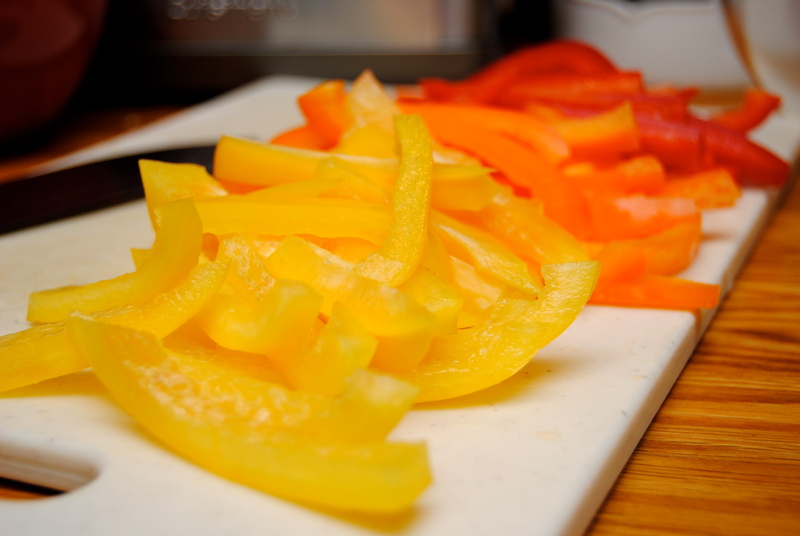 1) Add all the salad ingredients into a large bowl. 2) In a small bowl, mix the sauce ingredients until peanut butter is fully incorporated with the sauce. 3) Pour sauce over salad and toss until well combined. 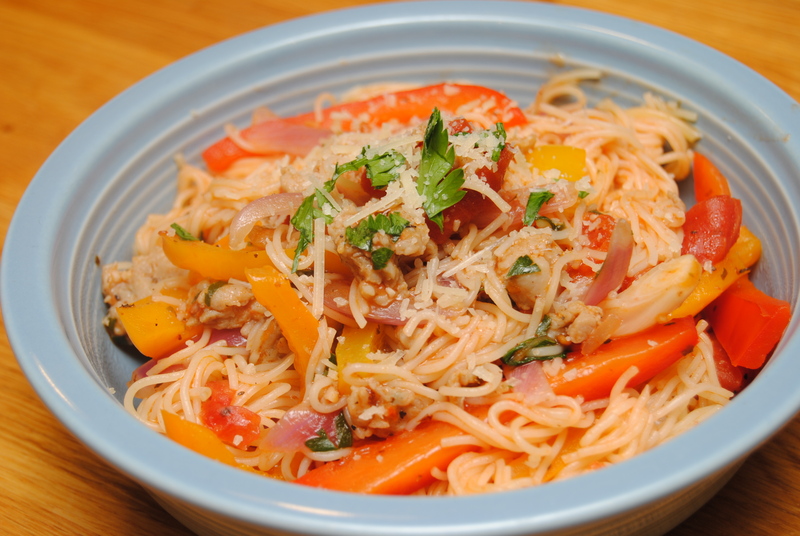 This is one of my favorite pasta dishes! 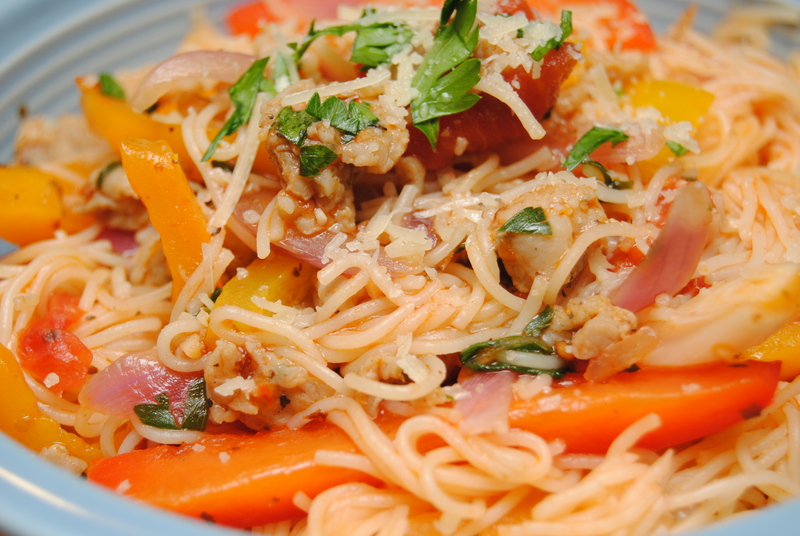 It’s not your typical spaghetti – it’s full of fresh veggies, made with sausage and I like mine with angel hair. This recipe makes a pretty large pot; plenty to feed a family and have leftovers too (I love leftovers!). It’s pretty easy to make and can be done in around 30 to 40 minutes. Me and the boys had this for dinner tonight, and after Brogan was done, he asked, “Can we have this again tomorrow?” Dinner win! 1.) Cook pasta according to package, set aside. 2.) Remove sausage from links and brown in a large saute pan or dutch oven, breaking apart with spatula as it cooks. 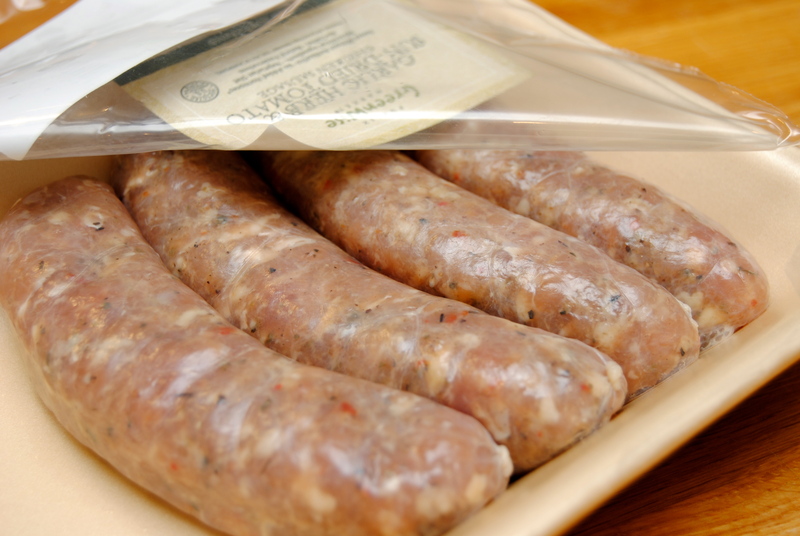 Remove cooked sausage from pot and set aside. 3.) 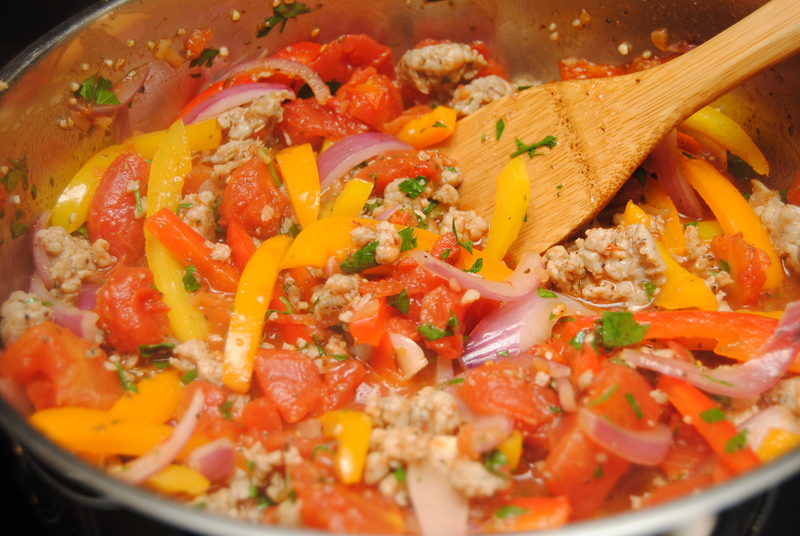 In the same pot sausage was cooked, add olive oil and then sauté peppers, onions and garlic. Cook until slightly tender, about 5 minutes. Add tomatoes, basil and parsley. Cook for about 10 minutes. Add sausage to veggies, mix well. Salt and pepper to taste. 4.) 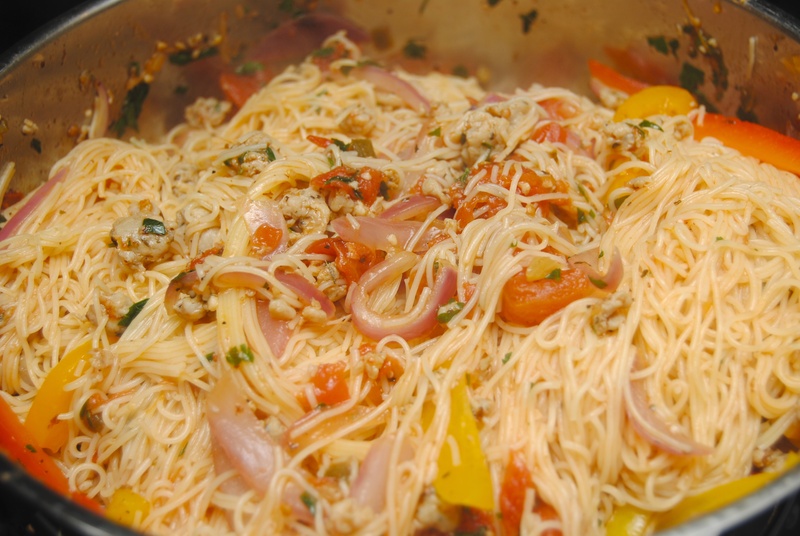 Add cooked pasta and Parmesan cheese to sauce, mix well (tongs work well here). Serve with Parmesan cheese on top.